We're Thrilled to Present Our New Sell Sheet! Thank you to Jill Reinemann, at Rhino Design Works, for doing such an excellent job. 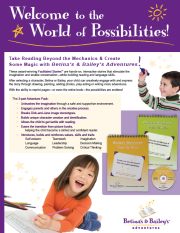 Her creativity and talent captured the essence of what Betina's & Bailey's Adventures offer---The World of Possibilities! Thanks, again, Jill--and that's why you are October's Featured Artist! 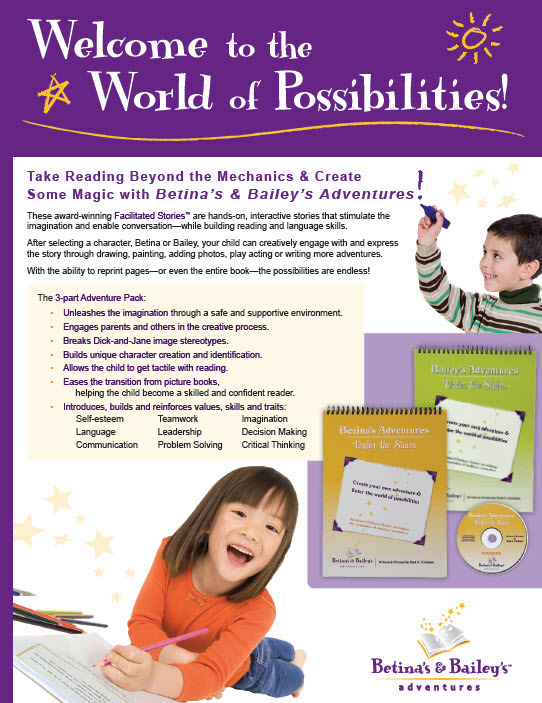 Click here to see the full, 2-page, magnificent brochure. You can also check out various tools, press releases, and other tidbits at our Press Room.